This new and expanded edition of one of the most influential self-help books of the 20th century makes Shinn�s principles relevant to 21st-century readers. Included now are study questions, meditations, and action items that will ensure that this will become the essential edition of this classic text. Shinn begins with the following statement: �Most people consider life a battle. It�s not a battle�.It�s a game. 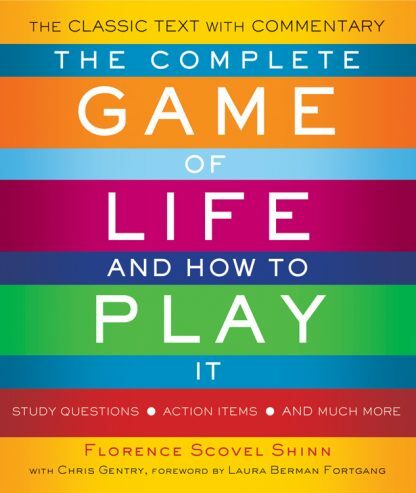 And like most games, it can�t be played successfully without understanding the rules.� In a clear and accessible manner, Shinn then sets forth and explores the six key rules for the game of life, providing to readers the user�s manual for making informed decisions and fully embracing a life of success and happiness. Florence Scovel Shinn (1871-1940) was an American artist and book illustrator before this book was published. After its publication in 1925 she became a popular lecturer and writer. Chris Gentry is a successful businessperson, teacher, and author. He lives in New England. He can be reached at chrisgentry@yahoo.com. Laura Berman Fortgang is a speaker, executive coach, and author. Her books include Living Your Best Life and Now What: 90 Days to a New Life (both published by Tarcher/Penguin).